A conceptual overview of Ranger-AD integration architecture. Plugins to RPS: Ranger plugins regularly call the RPS to see if new policies were defined in the Ranger Administration Portal (RAP). Generally allow for 30 sec. for a policy to be updated. The first communication channel (Plugins to RPS) is essential for the plugin to function whereas the second (RPS to components) is optional. It would still be possible to define and enforce policies if the second does not work, but you will not have autocomplete during policy definition. Configuration details on both communication channels are configured on both Ambari configuration for the component and on the RAP. Ranger plugins furthermore send their audit event (whether access was granted or not and based on which policy) directly to the configured sink for audits, which can be HDFS, Solr or both. This is indicated by the yellow arrows in the architectural graph. The audit access tab on the RAP (Audit > Access) is only populated if Solr is used as sink. This screen points out an important Ranger feature. When the plugin is enabled AND no specific policy is in place for access to some object, the plugin will fall back to enforcing the standard component level Access Control Lists (ACL’s). For HDFS that would be the user : rwx / group : rwx / other : rwx ACL’s on folders and files. Once this defaulting to component ACL’s happens the audit events show a ‘ - ‘ in the ‘Policy ID’ column instead of a policy number. If a Ranger policy was in control of allowing/denying the policy number is shown. The configuration of both is done entirely on Ambari. 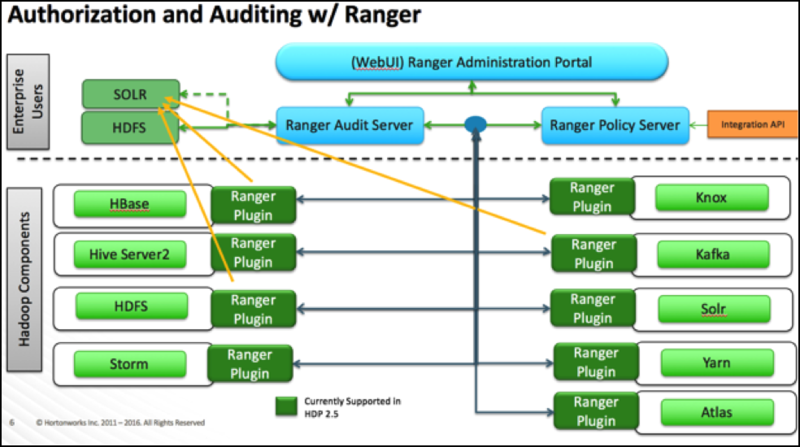 Reference information on Ranger UI authentication, when configuring Ranger AD integration. 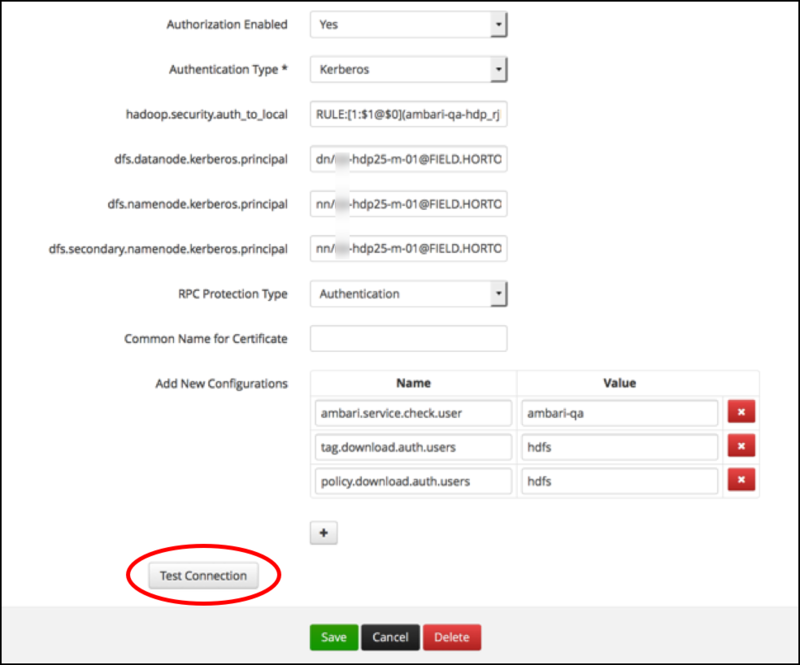 Reference information on Ranger UI authorization, when configuring Ranger AD integration. Reference information on Ranger usersync, when configuring Ranger AD integration. 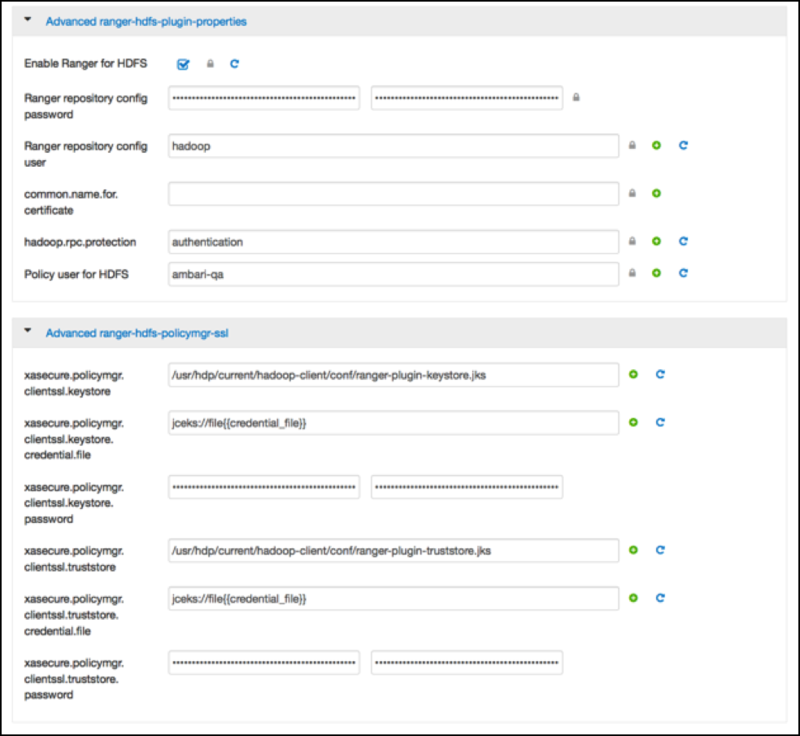 Reference information on Ranger user management, when configuring Ranger AD integration. 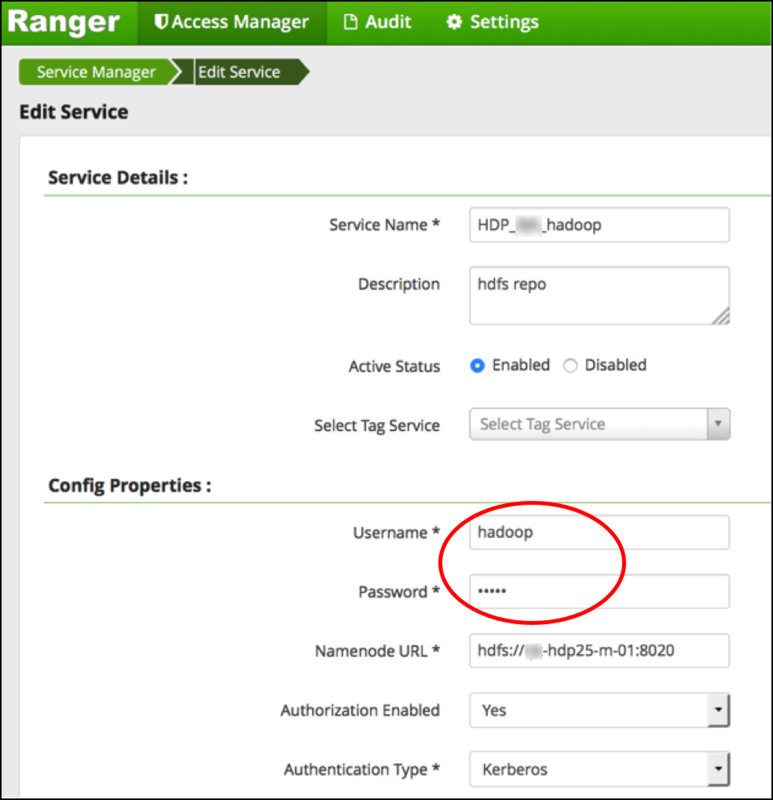 For Ranger AD integration, there is an issue with Ranger not being able to map a user on a group ‘Hdp_admins’ to a policy that allows/denies access to the group ‘Hdp_admins’. The issue is on the capital characters that might be on a AD group name definition.